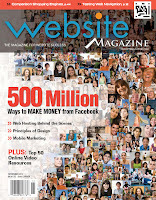 Below you will find the the table of contents for the November 2010 edition of Website Magazine. The feature article is "500 Million Ways to Make Money from Facebook", but as in each edition a wide range of topics (including SEO, SEM, Web Design & Development, Software and more), essential techniques and trends are covered as well. 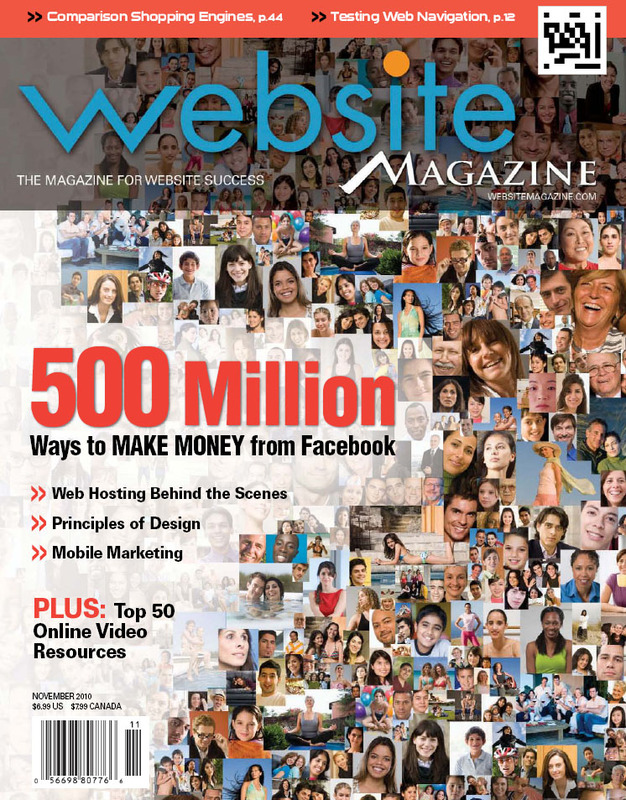 The November 2010 edition is a "general issue" and distributed to over 146,000 Internet professionals. With the largest social network now exceeding half a billion users, Web businesses have an enormous opportunity to monetize their marketing efforts. From the cloud to high-speed media delivery, discover what a Web host is truly capable of doing for your website. The cost of less than optimal browser performance has never been higher for Web professionals, so take control of your site and your users’ experiences. Internet businesses are armed with a powerful tool for gaining deep insight into customer attitudes – their own websites. Take advantage of these research tools and tips to discover all of your competitors’ top converting keywords, and use them to improve your own campaigns. While still in the early stages of its development, mobile advertising presents the biggest opportunities for marketers who can grow with the emerging technologies. There are four essential elements required for creating captivating websites that produce the very best results. For building brand awareness and reaching more customers, being visible on comparison shopping search engines is a merchant’s best bet.